The base is a very sheer black jelly. 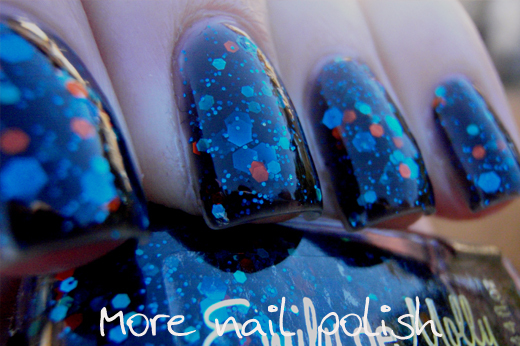 It has large blue hex glitter, micro blue glitter, turquoise holo hexes, black shredded glitter and orange hexes. This is probably designed to be worn over black or another dark colour, but I'm loving jelly finishes so much at the moment that I wanted to leave this on it's own. After wearing Black Forest, I was confident that this one would become opaque too. 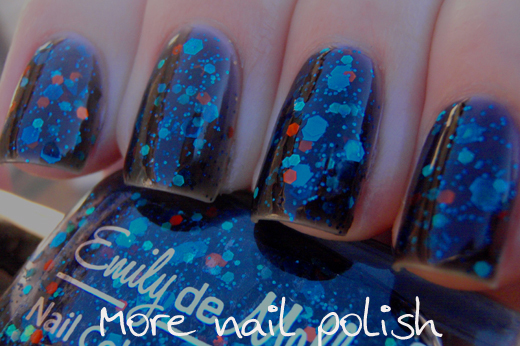 This is three coats of When Planets Collide topped with a layer of Ulta 3 Non chip and a coat of Seche Vite quick dry. 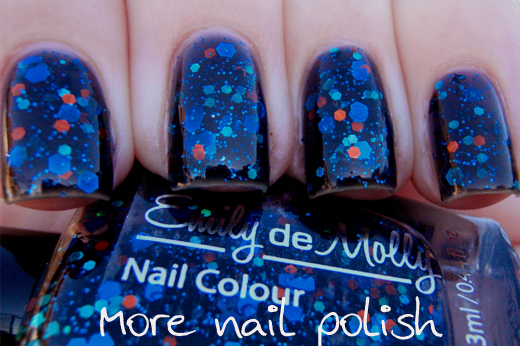 Another stunning polish from this indie brand. The jelly base was perfect, the glitters with flat and spread out nicely. I really loved wearing this polish and I received lots of comments from people when I was wearing it. I've already mentioned about the beautiful labels, this one has metallic silver print. These are available from the Emily de Molly etsy store and cost $10 USD each. 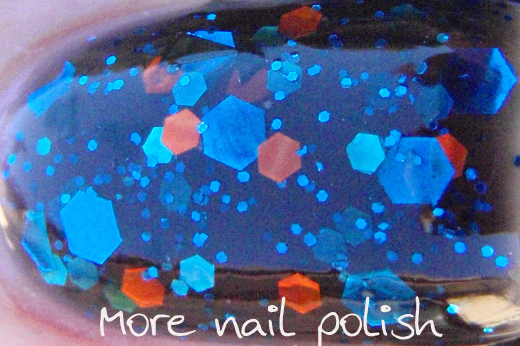 Now that's a really gorgeous polish. I love the depth you made with the three layers. Wow!! Wow! I love that polish! I followed you now! Ugh supa gorgeous! This one is on it's way to me! Omg I just fell in love! This is absolutely amazing!